Kenneth Weinstein is the president and CEO of the Hudson Institute, a neoconservative, Washington, D.C.-based think tank that has hosted numerous prominent “pro-Israel” hawks and served as a key member of the neoconservative network for decades. Among Hudson’s more notable associates have been Robert Bork, Douglas Feith, Hillel Fradkin, Lewis “Scooter” Libby, Meyrav Wurmser, and Norman Podhoretz. In the mid-1990s, Weinstein served as the director of research for the New Citizenship Project (NCP), a nonprofit group headed by William Kristol that helped launch the Project for the New American Century (PNAC), a letterhead organization that rallied neoconservatives and liberal hawks behind the U.S. invasion of Iraq. After leaving NCP, Weinstein worked for two years as a project director at the right-wing Heritage Foundation before joining Hudson in 1999. Weinstein, who lent his name to a 2004 PNAC letter calling for a more confrontational U.S. approach to Russia, has continued to collaborate with members of the now-defunct organization. He rejoined many old PNAC hands in a 2014 open letter from its successor organization, the Foreign Policy Initiative (FPI), which called for pressuring Iran over its nuclear program. According to journalist Jim Lobe, the letter strongly implied support for sanctions legislation sponsored by the hawkish Sens. Robert Menendez and Mark Kirk—and vociferously supported by the American Israel Public Affairs Committee—which critics warned could scuttle an interim international agreement aimed at limiting Tehran’s nuclear program. Noting that the cast of signers included dozens of PNAC veterans as well as other supporters of the Iraq War, Lobe concluded that it was “pretty clear” that sinking the accord was the intention. According to his Hudson bio, Weinstein is a “political theorist by training whose academic work focuses on the early Enlightenment.” He also writes frequently about foreign affairs, particularly on matters related to Europe, Asia, and the Middle East. A graduate of the Institut d’ Études Politiques in Paris, he often writes in French. In other writings, Weinstein has advocated forming a tighter strategic relationship with Japan, writing in October 2013 that “the time is ripe for the United States to deepen its support of Japan in the diplomatic, economic, and military spheres.” A “flourishing Japan,” he asserted, “is urgently needed as a counterweight to a China whose rise has been accompanied by a disquieting bellicosity.” Other observers, in contrast, pointed out that Japan’s government has also behaved antagonistically toward China, particularly with respect to tensions over disputed island chains, and that U.S. support for China’s rivals could destabilize the situation by increasing their willingness to provoke Beijing. SourceWatch, New Citizenship Project profile, http://www.sourcewatch.org/index.php?title=New_Citizenship_Project. Broadcasting Board of Governors, Kenneth Weinstein bio, http://www.bbg.gov/about-the-agency/board/kenneth-weinstein/. Jim Lobe, “Neocons Who Brought You The Iraq War Endorse AIPAC’s Iran Bill,” LobeLog, January 9, 2014, http://www.lobelog.com/neocons-who-brought-you-the-iraq-war-endorse-aipacs-iran-bill/. 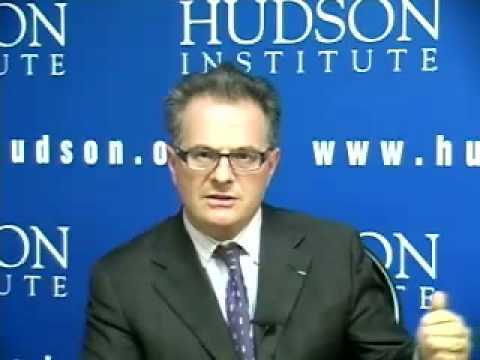 Hudson Institute, Kenneth Weinstein bio, http://www.hudson.org/learn/index.cfm?fuseaction=staff_bio&eid=WeinKenn. Kenneth Weinstein, “International Challenges Facing the 44th President,” Bungei Shinjeu, November 1, 2008, http://www.hudson.org/index.cfm?fuseaction=publication_details&id=5863. Kenneth Weinstein, “Responding to Future Security Challenges,” RealClearPolitics, November 8, 2011, http://www.realclearpolitics.com/articles/2011/11/08/responding_to_future_security_challenges_111987.html. Kenneth Weinstein, “Venus and Mars Revisited,” Wall Street Journal, April 1, 2013, http://online.wsj.com/news/articles/SB10001424127887323501004578388671109435456. Kenneth Weinstein & Kin-ichi Yoshihara, “Why America Needs Japan More than Ever,” RealClearWorld, October 25, 2013, http://www.realclearworld.com/articles/2013/10/25/why_america_needs_japan_more_than_ever.html. See, for example, Richard Javad Heydarian, “Raising the Stakes in Asia,” Foreign Policy In Focus, October 25, 2012, http://fpif.org/raising_the_stakes_in_asia/.